The church of St Peter and All Saints at Battlesden is situated in the remote hamlet of Battlesden between the A5 and A4012 north of Hockliffe. Access is via a single-track lane from the A4012. 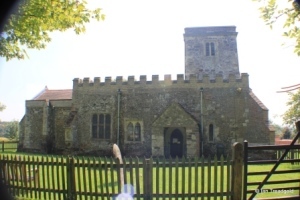 The church lies in the grounds of the now-demolished Battlesden House. The original house built in the late C16 with its successor buildings from the 1860’s being demolished and cleared after the Second World War. 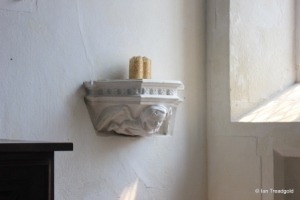 The church is of very simple design but much repaired and patched over the centuries. 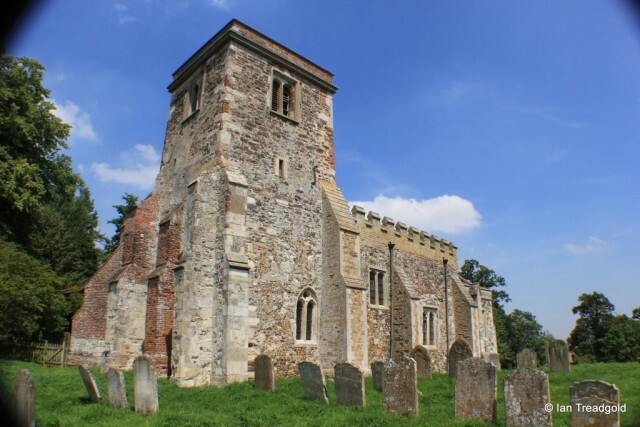 The church consists of a nave and chancel with a tower built onto the south-west corner of the nave. 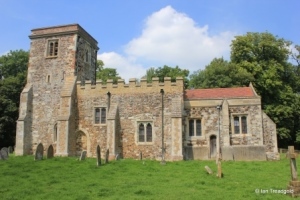 The original south door and porch have been removed and access is now via the north door. 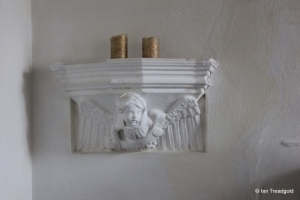 The north wall of the nave has two windows along with a single lancet to the west of the door. 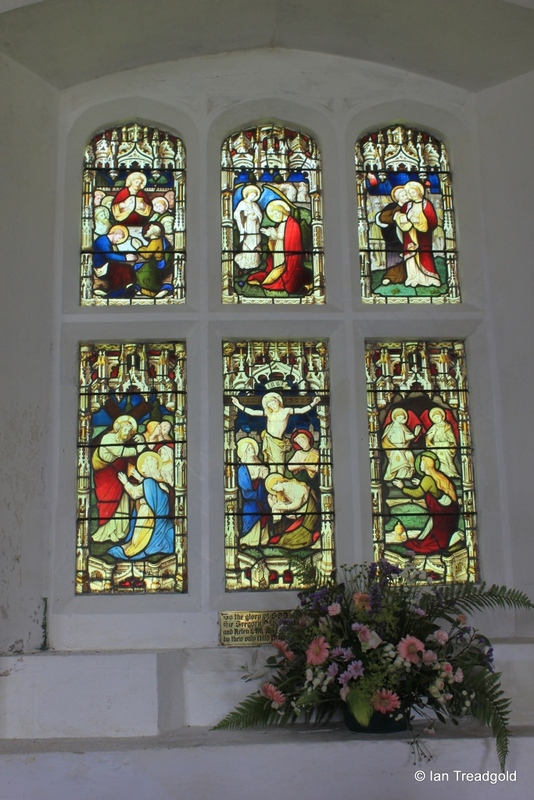 Of the two windows, the western is two-light C15 window whilst that nearer the chancel is C17 with three lights with a transom. 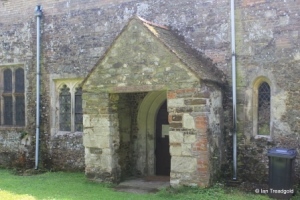 The north doorway is C14 work with a small porch. 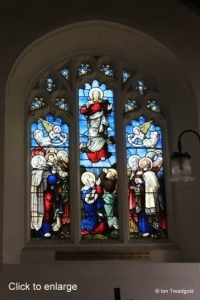 There are two south facing windows in the chancel are restored C16 two-light windows with a door between. 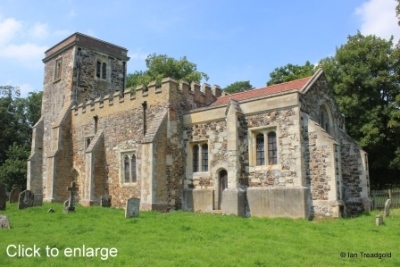 The chancel is probably of C14 with the east window being more modern. 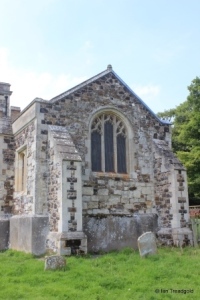 The south wall of the nave has two windows at the normal height, one matching its pair in the north wall. Higher in the south wall is another window that would have provided light to a gallery over the now demolished south porch. 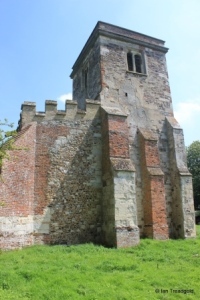 The south door is partially blocked by a buttress for the tower. 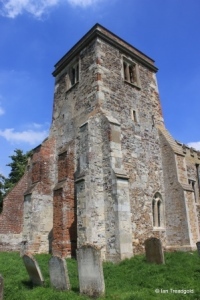 The tower was built onto the south-west corner of the nave and apparently constructed on poor foundations and has need many buttresses to be added over the centuries – there are now six for a relatively small tower. The tower houses three bells from the 1800’s. 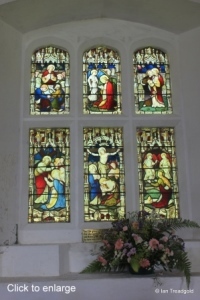 Inside, there are two windows of stained glass, the C17 window in the north wall and the east window itself. To the sides of the east window are two carved C15 image brackets of angels which have been restored. 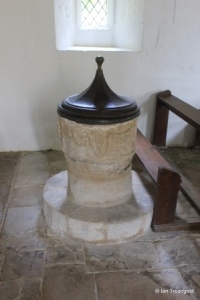 The font is apparently of C12 origin with leaf carving and situated under the tower. Page last changed 03/09/2014 and reformatted 23/08/2015.